A short look at an aerial for the Very Low Frequency (VLF) frequency band. 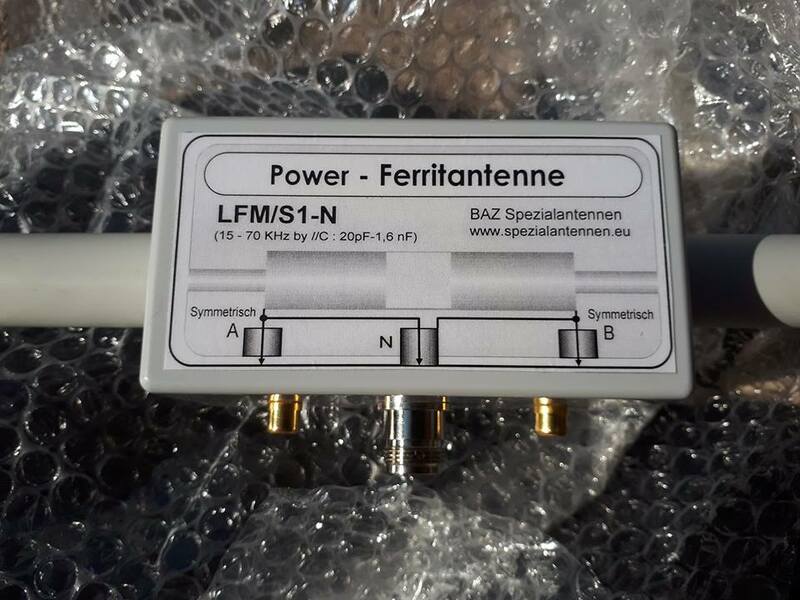 There are a number of aerials for 3 to 30kHz, the VLF frequency band. My latest man-toy is this one. It allows me to connect to a Software Defined Radio (SDR) or just a PC sound card and monitor signals in the 'basement' of the electromagnetic spectrum. Being a magnetic ferrite bar, it is less prone to interference from my home gadgets. You can also use a loop antenna. You would be surprised what there is to monitor in this band. RadioUser carries regular articles and frequency lists on VLF and the editor is still looking for experienced writers in this field.